We try to find answers to some nagging queries about the controversial law. (SPOT.ph) By now, netizens are celebrating because the Supreme Court has issued a 12-day temporary restraning order against Republic Act No. 10175 or The Cybercrime Prevention Act of 2012. The TRO is understandable-the law already had 15 petitions filed against it. Amid the chaos of protests and debates, we realized there were some questions that needed to be asked. As such, we have a list of both trivial and crucial queries that have kept us awake-much like neighbors who are addicted to Magic Sing. We’ve also tried to come up with answers to these questions...even if some of them are really best kept rhetorical. What’s Rhian Ramos got to do with it? As it turns out, the actress’ post-breakup travails involving her ex-boyfriend-Mohan Gumatay a.k.a. DJ Mo Twister-may have directly affected the Cybercrime Prevention Act of 2012. A Manila Bulletin article by NR Ramos notes that Senator Vicente "Tito" Sotto, in an Unang Hirit interview, cited the brouhaha as the reason why, in December 2011, he asked the bill’s sponsor Senator Edgardo Angara to include the libel clause. Sotto explained, "Kasi bri-ning up ko ’yun dahil sa problema dati ng GMA kay Rhian Ramos at iba pang mga nababastos sa Facebook, sa Twitter at saka sa YouTube. Sina Maricar Reyes, sina Katrina Halili, sila Ram Revilla... eh, ito mga celebrities ito, eh pa’no ’yung mga hindi celebrities kako na lumalabas diyan at binabastos diyan? Binabababoy o sinisira ang reputasyon ng kapwa, paano kako ’to (I brought it up because of GMA’s problem with Rhian Ramos and other people who have been maligned on Facebook, Twitter, and YouTube. There’s Maricar Reyes, Katrina Halili, and Ram Revilla...and these are celebrities getting besmirched. How about the people who aren’t celebrities)?" Sotto went on to say that he proposed the addendum during the period of amendments and it was accepted. Why hack PEP’s Facebook and Twitter accounts? Up to now, we still don’t get why alleged members of the international hacktivist group Anonymous chose to "hijack" the social media accounts (PEP.Philippines on FB and @scoopbox on Twitter) of the Philippine Entertainment Portal-more popularly known as PEP. Sure, they claimed that the October 8 hacking was part of their protest against the Cybercrime Act of 2012. But, really, how would hacking an entertainment site help in the fight against oppressive cyber laws? In an official statement, PEP editor-in-chief Jo-Ann Maglipon pointed out: "Some people just don't know how to fight a war. You want to fight the bullies that created RA 10175, yet you bully an online portal?" Er, in case the hackers missed it, PEP did not "mistakenly" vote to pass the controversial law. Why is the penalty for online libel higher? The short answer is, "We don’t know." All we know is what we got from a Manila Standard Today editorial, which pointed out: "(The Cybercrime Prevention Act of 2012) increased the penalty for cyber libel to prision mayor from the current prision correctional provided under the Revised Penal Code (RPC). This means that electronic libel is now punished with imprisonment from six years and one day to up to 12 years, while those convicted for ordinary libel under the RPC are subject to imprisonment only from six months and one day to four years and two months." Now, that’s a huge difference. Just to make it clearer: The maximum prison sentence for cyber libel is 12 years, while the maximum prison sentence for "ordinary" libel is 4 years and two months. It won’t take a Pinoy genius to know that it takes some mad, vengeful math to come up with the first number. What happened to Tito Sotto’s nephew-in-law? As far as we know, Stephen Michael Gamboa Bacosa-the guy who bullied musician Adrian Arcega via a Facebook private message wherein he declared himself a "bully in the real world"-is still enjoying his social media privileges. It’s worth noting that he didn’t get as much flak from the online community as, say, Robert Blair Carabuena, who had been tagged as a bully for slapping a traffic enforcer in August. Perhaps, it’s because we think people who threaten us over the Net are not really serious. Why does P-Noy want to keep the libel clause? According to an InterAksyon.com article written by Chichi Conde, P-Noy had explained, "I do not agree that the provision on online libel should be removed. Whatever the format is, if it is libelous, then there should be some form of redress available to the victims." Well, it was already shocking enough that he approved the law in the first place-but we didn’t see this one coming. <>Why is everyone suddenly scrambling to push amendments? Ever heard of the saying, "An ounce of prevention is better than a pound of cure"? You haven’t? Don’t worry you are not alone. As netizens steadily churned out "bad reviews" of the Cybercrime Prevention Act of 2012, senators-including some of those who voted to pass the law-stepped up and said something was amiss. They then talked about amending the law. Sen. Chiz Escudero was probably the most "vocal" of them all. 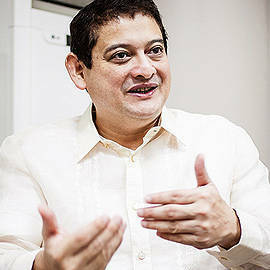 In fact, according to an InterAksyon.com article, Escudero claimed that the libel clause was mistakenly inserted into the Cybercrime Prevention Act of 2012. <>Is this digital martial law in action? Netizens were affected by the ABS-CBN News feature about 46 nurses who claimed they got fired from the Taguig-Pateros District Hospital simply because they clicked the "Like" button for a Facebook status message that talked about "office politics." The nurses were sacked in August, while the Cybercrime Prevention Act of 2012 took effect on October 4. So, their case isn’t really the start of digital martial law. It is, however, a chilling preview. 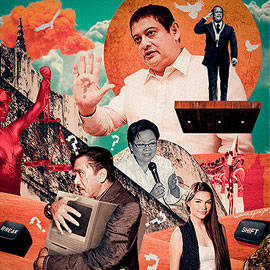 <>Why is The Varsitarian holding on to the RH Bill? While the rest of the country was discussing the Cybercrime Prevention Act of 2012, the University of Santo Tomas (UST) student newspaper published an anti-Reproductive Health (RH) Bill opinion piece entitled, "RH bill, Ateneo, and La Salle: Of lemons and cowards." The editorial slams the teachers from the schools mentioned who had expressed their support for the Reproductive Health Bill. We wonder when the paper will publish its editorial on the Cybercrime Prevention Act of 2012. But, yes, we also have to thank whoever is running it for being tenacious about the RH Bill...even if we don’t agre with what they’re saying. 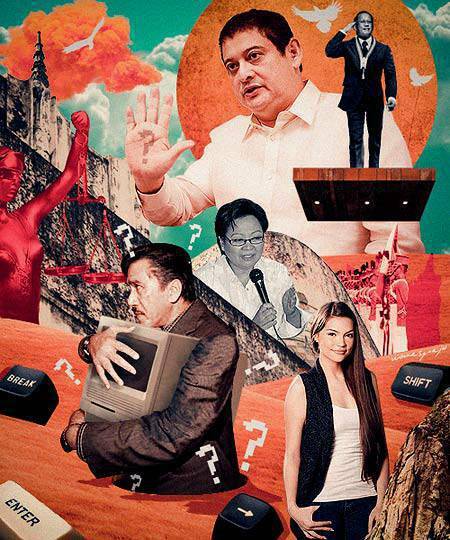 <>Art by Warren Espejo, with photos from PEP and screenshots of various news clips uploaded on YouTube.